5 year old Zoe is up-to-date on all vaccinations. 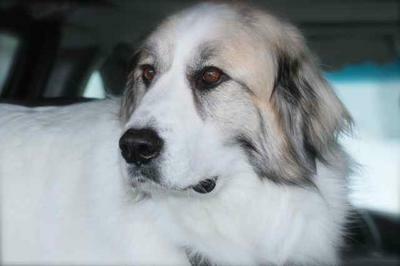 She was surrendered by her elderly owners because of her barking and bolting. 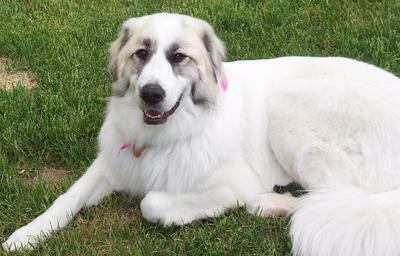 She is quite thin so she appears to be 'small' for a Pyr but her body size is quite sizeable with plenty of room to fill out. She knows all of her commands, is very polite, and obedient at home. She jumps fences, jumps through windows and screen doors and bolts given the opportunity. She will need a home where the family will work with her on this vice. 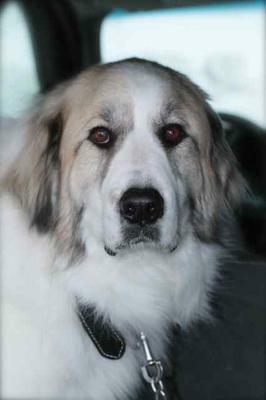 Zoe is shy with people whom she does not know and, initially with dogs that are unknown to her. She is very affectionate and protective of her people and of her property. She is not aggressive towards animals or people when she is off her property. She is very gentle with children and small dogs. Zoe walks very well on leash and is very curious about her surroundings when she is on walks. She rides well in the car and enjoys car rides.